Another truly beautiful piece of literature to add to my read list. ‘The Confidant’ was given to me by my partners godparents as a Christmas present last year, and sadly ended up hidden in the bottom of a box until a few weeks ago, one of the downsides of having moved house and never fully unpacked. Having just read and thoroughly enjoyed ‘The Elegance of the Hedgehog’ I was excited at the prospect of getting started on another piece of French literature, and potentially giving myself a nice topic of conversation for our next family dinner. ‘The truth lies hidden in the past’ is such a fitting tagline for this novel. Grémillon draws the reader into the depths of a long hidden secret, of longing, forbidden love, betrayal, and revenge. The novel achieves an almost perfect blend of historical narration, thrilling suspense and harsh reality, the result of which is truly stunning. It is 1975, and in her apartment in Paris, Camille receives an anonymous letter, a letter narrating the lives individuals seemingly unrelated to Camille, surely the letter has been sent to her by mistake? The anonymous letters continue to fill the post box of Camille’s Paris flat, and a long hidden secret begins to unravel before her very eyes. As the story unfolds Camille becomes desperate to discover the source of the letters, before finally succumbing to the realisation that it is her own story which is being told. The story of pre war France, a young boy in love, a young girl eager to please, and a rich and lonely madame is inextricably linked to Camille’s unlikely friendship with the concierge of her apartment building, the recent death of her mother, and the future of her unborn child. What struck me about this book was the profound effect it has on my emotions. As the secret unraveled I found myself taken on an emotional journey of empathy and hatred of Annie, and simultaneous hatred, and empathy for Madame M. There are two sides to every story, and Grémillon highlights this so perfectly, by the end of the novel I felt as though neither character did anything wrong. Their actions were inevitable, driven by emotion and instinct. The story presents a fierce, raw examination of women, coupling motherhood and feminism with love, passion, and desire. In this respect there was one theme in particular that struck a chord with me, and that is Grémillon’s unrestrained examination of infertility. ‘Have more Children! Have more children, France must make up for her losses in 1914’. ‘I feel like I’ve often been treated like a faulty baby machine rather than a person. The guilt, the shame, the sense of failure, the indignation and the grief have all been a lot to deal with’ (Commenter: L Stokes). The idea that anyone should be made to feel this way is incredibly sad. M’s story took place in the early 20th century, and this is an issue that is still felt today. I very much admire Grémillon for approaching the subject. There is so much more I could say about this book, so many themes which could be explored, but I feel I have written enough for now. For anyone reading this who has not, I would urge you to read the book, it is a beautifully written, thought provoking read. You will not be disappointed as you read the final page, and see the secret of fully unraveled and laying before you in its entirety. The novel is captivating to read and satisfying to have read. 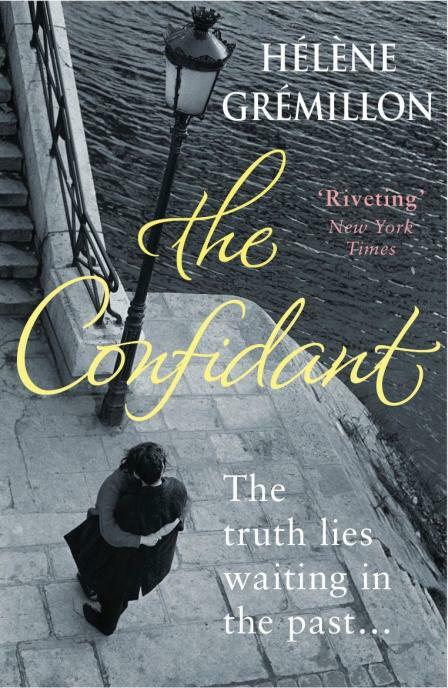 When I finished ‘The Confidant’ I felt the indescribable mix of sadness and fulfillment which accompanies the completion of a really fantastic novel.